Hey everyone! Celestial Storm is one of my least favorite sets to come out because it doesn’t introduce many new cards that will directly influence the meta. Most of them are outright weak with little application to competitive decks. One thing I do like, however, is its potential to work post-rotation. Plenty of these cards cannot deal with the current Standard, but will have a home in September. Some of these cards will stand alone, like Stakataka-GX or Rayquaza-GX, while others, like Sceptile, are to be paired with another. As with all new sets, I have plenty of ideas—most of them bad, probably. Today’s outlook will be focused on Worlds and the pre-Rotation format. Each type will have its own category with all potentially relevant cards. This article’s purpose is to give an overview of the entire set while diving into certain cards and uncommon archetypes that may not have been thought about. I think a good baby Pokémon is required for a Stage 1 swarm deck to be viable. Scyther certainly provides for this with its first attack, Twin Play. It searches for up to 2 Scyther and puts them onto the Bench, a useful attack when going Second. If anything, this somewhat fixes the 1st/2nd unfairness by providing a solid option as a first attack. I doubt that Scizor-GX decks will run Brigette because of this, and instead will opt for a more draw-heavy Supporter line. Ariados reminds me of Ninetales DRX but in a worse way. Obviously, it lacks Bright Look, 90 HP, and a Level Ball engine. I want this card to work, but it’s unlikely to make any headway when it has to work very hard for its Prizes. The card I’d pair it with is Salazzle SUM (and Nihilego-GX) for Special Conditions. I think this deck is one in which Shrine of Punishments may see play because it helps math. The main trouble this deck would have is consistency and capability of streaming attackers. It needs to apply multiple special conditions and attack in order to do relevant damage. Spider Trap drags with Sleep + Poison but is very easy to get out of. Wall cards are one that always interest me. Fortunately for Sceptile, it also boasts a strong enough attack to work. What I think could end up happening is some deck that either utilizes Rainbow or Grass Energy techs in a thin Sceptile line. Maybe 1-0-1, maybe 2-1-2, depending on the reliance of anti-Ultra Beasts. An Energy will be stuck on Sceptile, and one on whatever is attacking. This way, Guzma will need to be played in order to take Prizes. Another idea I have with Sceptile is one involving other Basic Grass attackers and Electrode-GX. Electrode-GX acts as the fuel that then supplements the rest to victory. Likewise, Sceptile has a very combinatory attack with it, since its attack power would be boosted by 100+ damage! The glaring issue with this is inconsistency and slowness. The opponent will be ahead by the time Electrode-GX is sacrificed, and by then the game is nearly over. There isn’t enough of a benefit with this to be worth it, especially because Sceptile is difficult to get out. Magcargo has the potential to be extremely oppressive or awful. Everyone’s first thought with this card is to pair it with Zoroark-GX, but I honestly think that is overrated. The first Brigette is reserved for 3 Zorua, so when do you plan on getting out Slugma? In general, a frail supporting Pokémon could be targeted down if it’s super influential. I might choose to play a 1-1 line in my Zoroark-GX deck, but to be honest, I’d rather dedicate the space towards winning mirror. I think a Zoroark-GX mirror is won by the number of Zoroark-GX in play, and therefore I want to dedicate all of my resources towards putting them into play. In decks other than Zoroark-GX, Octillery is 100% the better option. Magcargo doesn’t provide N insurance, but can set the perfect card for the following turn. With plenty of N going around, this doesn’t come into play very often. In the future, I think this Magcargo pairs well with the eventual Magcargo-GX we’ll receive. Obviously they synergize, but I think that Magcargo could be the proper consistency measure added to that deck. Articuno-GX is everything Tapu Koko-GX wanted to be. I think that the only viable deck Articuno-GX can go in is in Lapras-GX, which already doesn’t see play. A looping deck could work, but still falls victim to the same troubles any other does. Aqua Patch really helps for when the loop is broken, so I do think it’s worth looking into. Buzzwole/Lycanroc-GX would be a difficult matchup, but if there’s a way to fix the Dangerous Rogue GX problem, then try it. Electrode-GX is way more of a detriment in this format than it is in formats past. With a majority of decks being able to take OHKOs, its likely that they’ll be able to take their 4 Prizes just in the nick of time. What I find interesting (and potentially good enough) is the fact that this card can force certain Prize counts for Ultra Beasts. Buzzwole FLI and the new Celesteela are two very efficient, single-Prize attackers. There’s also the opportunity for them to be powered up by Beast Ring, Max Elixir, and Electrode-GX! A fair amount of finesse in deckbuilding might make this deck work. I really like this card, but doubt it has any actual applications until theres further Electric support. The Energy acceleration is nice, but the attack requires a Lightning Energy. This card pales in comparison to Talonflame STS because of this requirement. Furthermore, it has the condition of going second. This card is very good. It combines the aspect of anti-Buzzwole with the concept of fixing math with Shady Move. I expect this card to be splashed in multiple different decks, all for different reasons. I’d expect a Zoroark-GX/Banette-GX deck, because Banette-GX is incredible at dealing with Buzzwole FLI. I’d also expect a spread deck that utilizes Banette-GX as a heavier hitting attacker and as one to manipulate crucial math for 70 HP Pokémon. This card synergizes so well with Shrine of Punishments because it damages itself, but can give the opponent the worse end by shifting 10 damage over to their side. 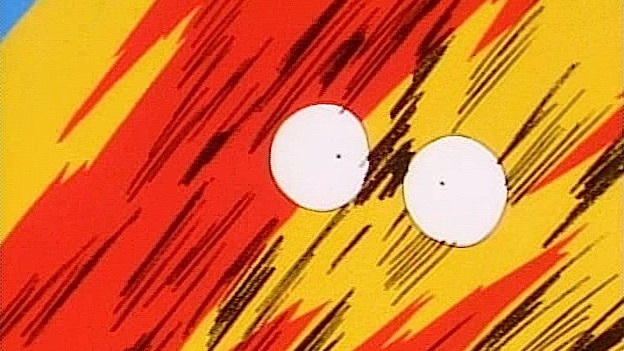 This card has the same Psychic attack that Mewtwo does. The differences between these two cards are in HP, 120 vs. 130, and in Retreat cost, 1 vs. 2. I think that this will be the staple replacement post-Rotation, since Mewtwo will be gone. I fully expect this card to make its way into the current version of Buzzroc. The easiest change I can think of is swapping one copy of Buzzwole FLI for this because it offers more damage early in the game. This wouldn’t affect the flow of the deck at all. The new strategy would prioritize hitting with Regirock early so as to not compromise potential Beast Ring later on. If anything, this card might even become a 5th single Prize attacker if the deck wanted it. Think of this card as a slow Acro Bike that can be used every turn. I reason this because in the event of a discard, you effectively removed a bad card/chose to cycle for a potentially better card. If you let it stay, then you have full knowledge of what your next card is. I think the most accurate comparison I can make between Sableye and another card is with Oranguru SUM. I think that they serve different purposes—perhaps alongside each other—depending on the goal. Oranguru’s goal, plain and simple, is to draw cards after exhausting the rest in the hand. It has the added benefit/role of N insurance, too. 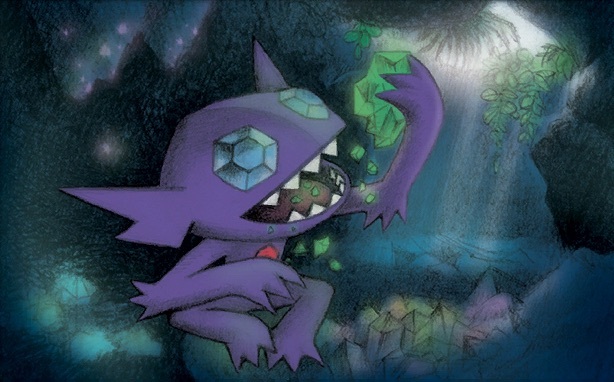 On the other hand, Sableye acts as a way to thin the deck, indirectly improving the chance of a good N later on. This Ability can fuel several Discard-reliant effects like Rayquaza-GX, Electrode-GX, Aqua Patch, Banette-GX, and Puzzle of Time (by providing access). This card is bad right now, but I decided to write about it because I think it’ll be a Tier 1 deck after rotation. In the future, Scizor-GX will be strong because it has strong 2HKO power and the potential for a OHKO. It will also be relatively consistent because of Scyther’s psuedo-Water Duplicates. The deck won’t need to dedicate space to Nest Ball, Dunsparce, etc., because it has a built in engine in its own Basic Pokémon! I think that Metagross has a chance of doing well at Worlds because of this card. Not only does it provide a much needed single-Prize attacker to finish things off, but it provides a super powerful effect when combined with Steven’s Resolve, a card I already would’ve played in a slow Stage 2 deck. The new gameplan is to Brigette T1 and then attack with Alolan Vulpix (if possible.) I’m unsure if the new Beldum will be better than the single Retreat cost Beldum. On one hand, it’s much easier to Retreat after a Brigette, but without one, Beldum could be stuck. The merits for Metagross in this format are based off of its matchups vs. the two best decks, Zoroark-GX and Buzzwole/Lycanroc-GX … Buzzwole-GX/Garbodor is up there too. Buzzwole (without Garbodor) should be very easy because their damage is very low. Knuckle Impact is the biggest threat, but an easy Mimikyu turn is enough to shut that down afterwards. Like with all Stage 2 decks, Metagross is slow, but I’d argue that it’s the fastest of any because of the new Metagross + Steven’s Decision combo. With that, it’s very easy to search out a second Stage 2 and then continue steamrolling. Where was this card when I needed it in Charlotte? This card is unhealthy, regardless of its viability. I think that cards like this and Greedy Dice detract from skill, yet are fun. Statistically, this card won’t be competitive because it functions less than 10% of the time for a minor effect. However, I once again will be trying to make Cloverfield work, but this time with Greedy Dice in place of Missing Clover. I ran the math in Charlotte and it turns out I would’ve taken more Prizes with Greedy Dice over the tournament than I did with Missing Clover! Anyways, this card is more splash-able and always works. The one requirement be that there is a Bench space open, but if I knew it was Prized, I’d always leave one open. I think this card will be great in any deck that will run Rainbow Energy, just like how Buzzwole FLI is good in those decks. At the moment, I don’t know what that deck is, but it’ll be discovered soon! This card is great! It may look bad upon first glance, but really shines with all of the support there is in format. Beast Ring, Solgaleo ♢, and even Metal Frying Pan/Fighting Fury Belt will all be staples of this deck. 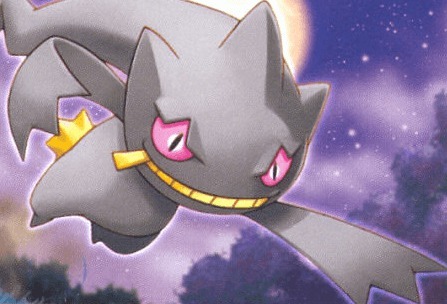 Imagine this as a replacement to the mono-Dusk Mane Necrozma-GX deck that was popular around Brazil (and somewhat afterwards.) Stakataka-GX is 100% better than Dusk Mane Necrozma-GX because it can trade efficiently with Buzzwole FLI. The problem before was that Dusk Mane Necrozma-GX had to discard its Energies every time for a single Prize. The wall doesn’t need to discard, and can OHKO Buzzwole FLI with +10 damage, either from Fighting Fury Belt or Dhelmise GRI. This card is not as good as Solgaleo ♢, but is still incredibly strong! Arguably, this is better in Rayquaza-GX than a Dragon type Solgaleo ♢ would be because of the poke damage and not reliance on the opponent. 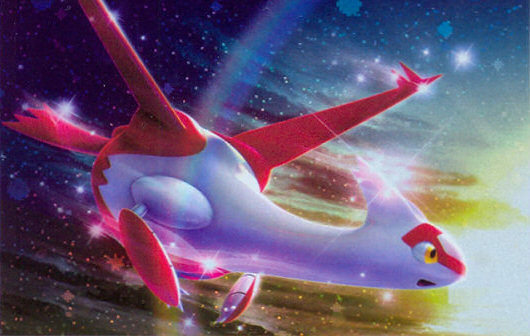 Anyways, Latias ♢ provides great Energy recovery/acceleration. This will be a staple in Rayquaza-GX decks but may also make its way into other Dragon type decks (if any become viable). At the moment, there aren’t any strong Dragon decks. Many people think this card is great; many people think this card is bad. I side with the sentiment that this card is bad for multiple reasons. The first reason is Buzzwole FLI. Unless Rayquaza-GX can deal OHKO damage to a Buzzwole FLI soon, then Sledgehammer will be hitting for massive damage and create a strong lead. I don’t know how this deck would beat Buzzwole/Lycanroc, let alone Buzzwole-GX/Garbodor. It seems that once Rayquaza-GX takes 2 Prizes, the game is over (in favor of Buzzwole.) By then, N + Garbotoxin + Sledgehammer/Knuckle Impact should be enough to stop them in their tracks. Also, without Field Blower, Rayquaza-GX would need 8 Energy in play to OHKO a Buzzwole-GX! That’s simply impossible, unreasonable, and won’t happen in a game. The second reason I dislike the card is the lack of cards the archetype can draw. Zoroark-GX and Octillery are the two best engines in Standard, and to see a deck without either is baffling. Obviously, neither would fit in the deck, but it makes me dislike it. Clunky hands can’t really be fixed. Furthermore, Stormy Winds has the potential to completely destroy key cards from the deck. Variance will dictate this, but it’s better not to risk anything than to potentially discard 3 important cards. In general, the main reason not drawing cards is a problem is because there’s no way to consistently execute the strategy. Take Greninja for example. There are countless hands with the perfect T2 Duplicates into Greninja, but another infinite number of hands without that! Ultimately, Rayquaza-GX needs to draw better than Greninja to execute its strategy, meaning that its utter garbage in this format. Slaking is a puzzling card that I have yet to wrap my head around. On one hand, it’s a super potent Ability lock card. On the other, it’s difficult to load up, is a Stage 2, and is weak to Fighting. This has potential post-Rotation, but none now. 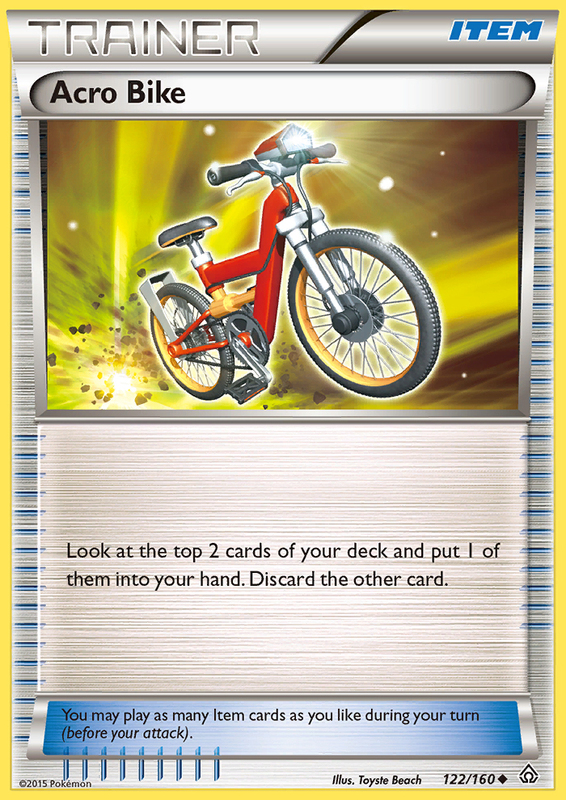 Acro Bike may find its way into Rayquaza-GX decks, but not much else. I could see running it in Volcanion, but that deck is already pressed for spots as it is now. Speed-canion (with Max Elixir and Acro Bike) might work, especially because that can effectively deal with the current Zoroark-GX lists. However, I’d expect Volcanion to have little playability because of Buzzwole’s place in the meta. Garbodor BKP and GRI significantly help Zoroark-GX’s Volcanion matchup in the most recent NAIC winning deck, Zoroark-GX/Garbodor. With all things said, Acro Bike has some quick decks it can fit into, but isn’t in a great spot. I expect 1-2 Beast Ball to be played in a Beast Box deck that relies on each type of attacker, similar to the one I posted awhile ago. Celesteela adds another one Prize attacker to this deck, so I’m interested to see if that could work. Theoretically, the deck still retains its amazing Buzzwole matchup, but I doubt that it can beat Zoroark-GX. This card isn’t great, but has niche value in a toolbox deck. Copycat is a really interesting card in this format because of Tapu Lele-GX. In formats past, there was no easy way to search out a specific Supporter from the deck. I think that this card might make its way into anything that doesn’t N the opponent much, for example Buzzwole. I could see myself cutting the 3rd N for a Copycat, just to add the potential of drawing more cards vs. Zoroark-GX. That matchup falls into favor for Zoroark-GX if they’re able to stock up a huge hand size and deny Prizes with Max Potion, meddle with Enhanced Hammer/Counter Catcher, etc. Copycat is one way that should allow other decks (including Zoroark-GX decks themselves!) to catch up and equalize hand size. This card is neat. Already, people have been discussing ideas with it. Spread decks will love this card because it helps stack damage for Devolution after they’ve already been evolved. Po Town is only active the turn they would evolve, meaning a timely Field Blower can nullify a card permanently. However, Shrine of Punishments does not have that problem, and even has the added benefit of applying to all GX Pokémon. Spread decks have consistently struggled with Basic-heavy decks because they’re bulky and have effectively higher HP than that of a Stage 1’s pre-Evolution, like Zorua. Some decks this card will immediately go in are Yveltal BREAK, Spread.dec, and perhaps anything with Banette-GX. Personally, I also want to experiment with it in any deck that doesn’t have modifiers or an easy Stadium currently. There are some Pokémon, Lapras-GX for example, that are just barely off on numbers to take a OHKO. Shrine of Punishments solves this issue, but would also damage Lapras-GX. Its a mutual effect, but its lopsided in favor of Lapras-GX. The extra 20 damage, making its HP 170 instead of 190, has its downsides, but may be less detrimental than the extra damage it added. Lapras-GX is a narrow example, and there are definitely more out there. This card is obviously good in Metagross-GX, so there’s no reason to touch on that. Instead, what I wish to talk about is its capability in any deck that doesn’t revolve around a Brigette T1. Zoroark-GX’s dependance on Brigette can be somewhat exploited here, meaning that if they choose to Brigette, you’ll have 3 hand-chosen cards to play on the following turn. If they choose to N, then they’ll have to worry about falling behind and losing too many Prizes early. I think this card will be potentially useful in decks that do nothing when going first, like Buzzwole-GX/Garbodor, or in decks that have high amounts of 1-ofs (and no Trade/Abyssal Hand). If there was a Supporter I could choose to play with Buzzwole-GX/Garbodor on T1, it would be this while having a Trubbish and Buzzwole-GX in play. My concern with this card is that its only use is on T1 and requires a somewhat decent hand for T2. Its usually only good going first, and doesn’t make an impact against decks without the T1 Brigette reliance. Back to the drawing board. The meta should settle out to be somewhat similar to NAIC, but I think there will be more of an eye on Zoroark-GX than there was before. Expect Oranguru UPR in all Zoroark-GX decks, and therefore expect slightly more Buzzwole because of greedy Zoroark-GX lists. Greninja also has the possibility of returning, since it supposedly has good matchups against Zoroark-GX variants. Its matchup vs. Buzzwole isn’t all too bad either. It might even be worth running Shrine of Punishments in that deck to add damage vs GX decks! Unfortunately, the new set doesn’t look to be bringing anything to wholly disrupt the current meta. Some new cards like Banette-GX, Shrine of Punishment, and Stakataka-GX will make some appearance, but there won’t be as much of an influence as there was last year with Burning Shadows. I’m very behind on the new set testing, and it hasn’t even been released! 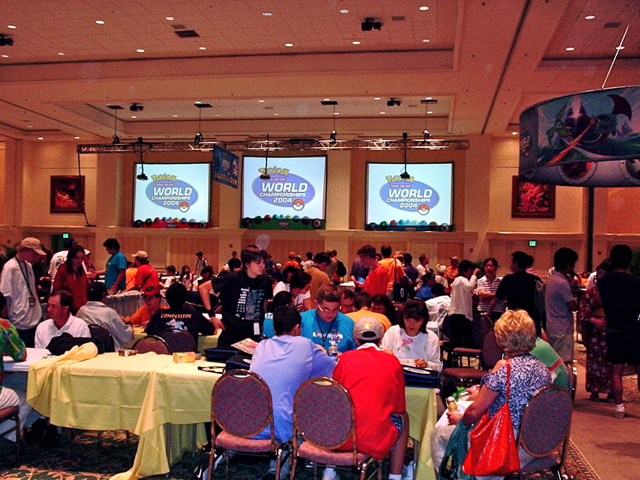 With the larger community we have, testing with the new set begins much sooner than it has in the past. I look forward to testing and experimenting further with the new set once August hits and it really starts to get in gear! The summer mentality has me by the grip as of now, but I’m ready to let it go.